Behind an unassuming graffitied wall is an old Soviet bunker which today evokes the paranoia and violence of the Cold War years. 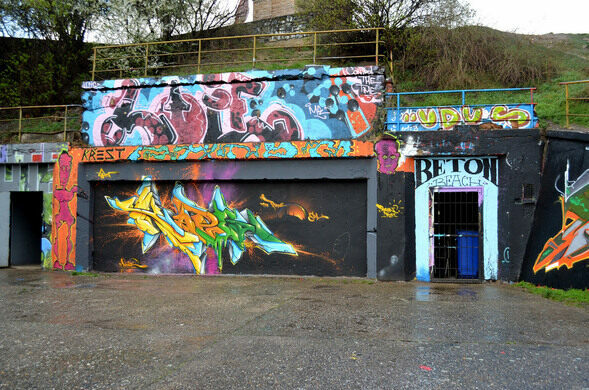 A civilian bunker lies buried five stories beneath Prague’s decrepit Parukarka hill, a product of the fear of nuclear armageddon that penetrated the masses during the Cold War. Though both sides of the Iron curtain became obsessed with preparing for the possibility of a nuclear war, such bunkers were constructed with more frequency in the Eastern Bloc, as communist economies fully focused their resources on defense and army structures. This bunker was not designed to house its inhabitants for decades, or even for years. Studies at the time found that there were many psychological risks associated with keeping people within the bunkers for extended periods of time, such as suicide and mass panic. So instead, the civilian bunker in Parukarka park was meant to save civilians from immediate death in face of nuclear explosions, and the idea was that they would evacuate to the countryside soon thereafter. 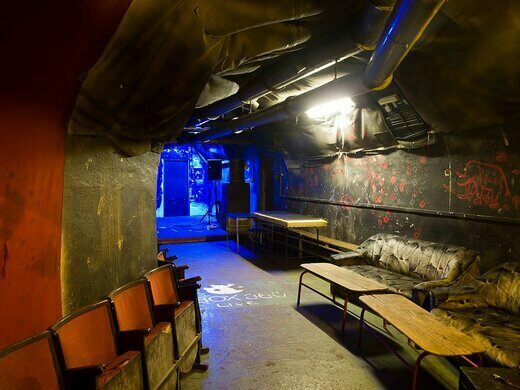 Today, you can explore the remnants of Soviet era paranoia on a two-hour-long guided tour, which takes you through some of the communist spots in Prague’s Old Town and ends in the nuclear bunker. The museum within the bunker serves as a snapshot of Soviet life, and in addition to the requisite dozens of gas masks, contains books, newspapers and photographs from the time. 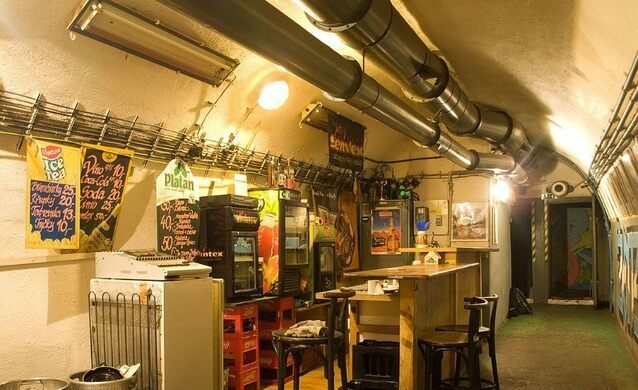 The nuclear bunker is only accessible through guided tours, which occur daily at 10:30 am and 2:30 pm. Tickets can be purchased online or at the tour's starting point, the Prague Special Tours ticket office at Old Town Square. This artificial cave looks like something out of a fairytale. Conveniently located within binocular range of a nuclear bunker, the "summer camp" area was a painfully obvious spy house. Built in just a little over a week this preserved bunker was created to protect our most attractive POTUS while he was on vacation. Time capsule of a museum, in which the Soviet Union remains alive and kicking.